In the time it takes you to cook a few chicken breasts for dinner tonight, you can make yourself Chicken Master Mix. 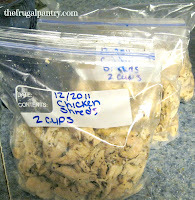 Tonight I ended up with 3 bags of chicken and 2 cups of chicken broth for the freezer! Having pre-cooked, precubed/shredded chicken in your freezer really helps you pull a quick dinner together on those busy nights. I will try to add some recipes you can use them in, but I mostly use them for easy pull togethers, like chicken tacos, chicken enchilada casserole, chicken alfredo, chicken, broccoli, and rice, etc. Since tonight I'm serving burrito bowls, I needed to cook up a few chicken breasts today. It is just as easy to cook the entire 3 lb bag of chicken breasts and use some tonight and have extra to put in the freezer. I prefer keeping the seasoning for chicken master mix, pretty simple and a taste that will cross over to any recipe I may use. 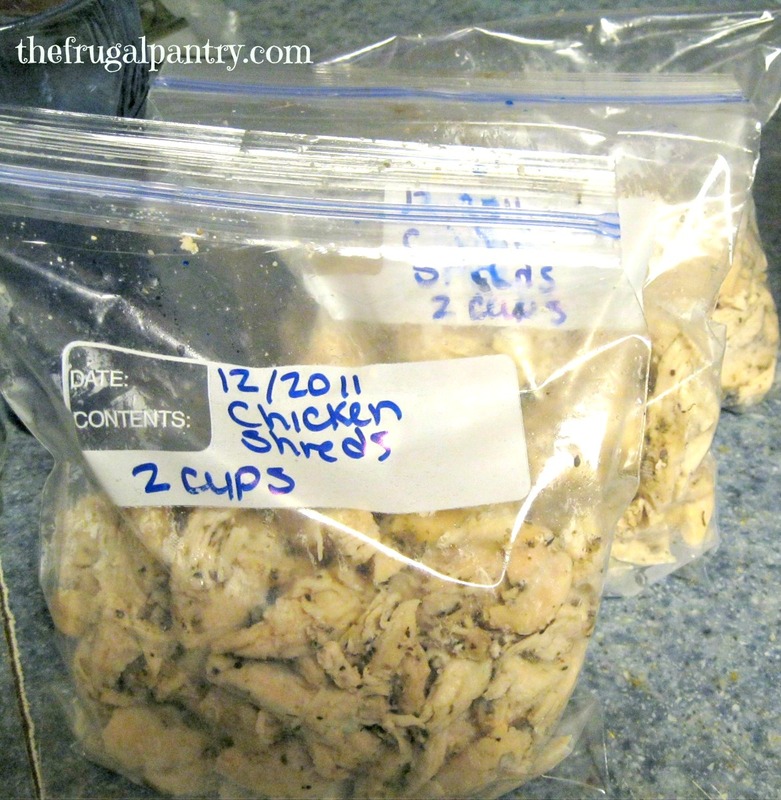 Place frozen chicken breasts into crockpot. Sprinkle herbs/dry rub generously over chicken breasts. Cook chicken on high for 3 hours or low for 6-8 hours. 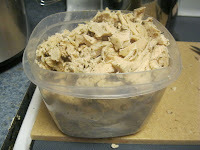 Remove chicken one at a time from crockpot and shred or cube on a cutting board or use this trick with your stand mixer and paddle for a finer shred. But, I am not done yet! 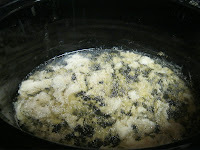 There is some valuable broth left in the bottom of the crockpot! 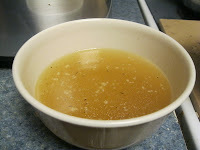 Unfortunately it also has some left over yucky fat in it from the chicken. 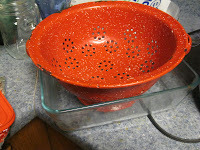 Once it has completely cooled, I pour it into labeled freezer bags to use for soups, gravies, etc.